Specifically formulated for test and county class cricket wickets where extended match play is required. 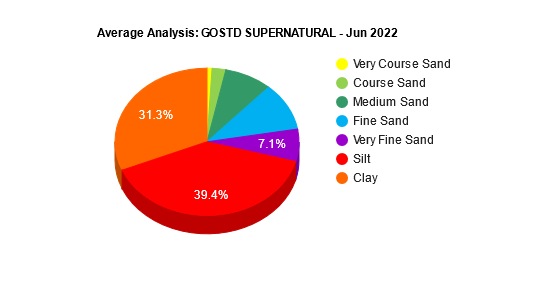 GOSTD Supernatural is prepared from carefully selected loam with a very high clay content and strong binding qualities. The finished product contains naturally occurring organic content and plant nutrients, which ensure good rooting and healthy growth. Because of its physical structure GOSTD Supernatural requires very careful control, management, time and expertise to achieve optimum results. It is not formulated for use in the base preparation of cricket squares. Initial dressings of GOSTD Supernatural should not be made unless the area has been rigorously scarified.